File photo of Jeanine Pirro. 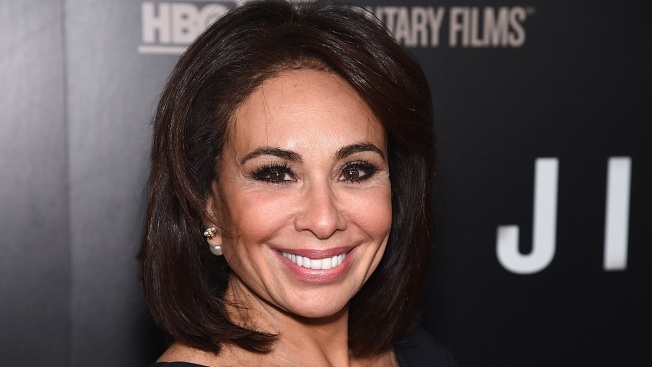 President Donald Trump called on Fox News to keep host Jeanine Pirro on the air after she didn't appear for her regularly scheduled Saturday night program following her anti-Muslim comments about Rep. Ilhan Omar, D-Minn., a week ago, NBC News reports. "Bring back @JudgeJeanine Pirro," Trump tweeted. "The Radical Left Democrats, working closely with their beloved partner, the Fake News Media, is using every trick in the book to SILENCE a majority of our Country. They have all out campaigns against @FoxNews hosts who are doing too well." Pirro suggested last week that Omar's religion was antithetical to the Constitution. "Think about it: Omar wears a hijab," Pirro said. "Is her adherence to this Islamic doctrine indicative of her adherence to Sharia law, which in itself is antithetical to the United States Constitution?"